Who doesn’t love summer treats?? They’re cool, refreshing, and unfortunately unhealthy– ice cream, popsicles, s’more’s. But it wouldn’t feel like summer without indulging in some iconic treats, so we’ve come up with calorie counting, sugar smashing, AND nutritious alternatives for two of our favorite summer treats! We promise you won’t even miss the originals. Cut banana into slices. Make sandwiches with banana slices and peanut butter. 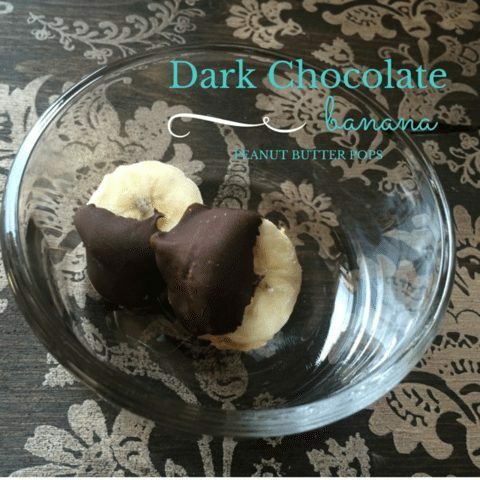 Melt dark chocolate chips in a deep microwavable container that you can easily “dunk” banana sandwiches in. Layout a sheet of wax paper on a plate or inside a freezable container if you wish to store your banana pops for a few days. Dip your sandwiches in the dark chocolate, layout on wax paper, and pop them in the freezer. Voila! They’re that easy. Slice banana into thick slices to use as the “marshmallow” for your s’more. 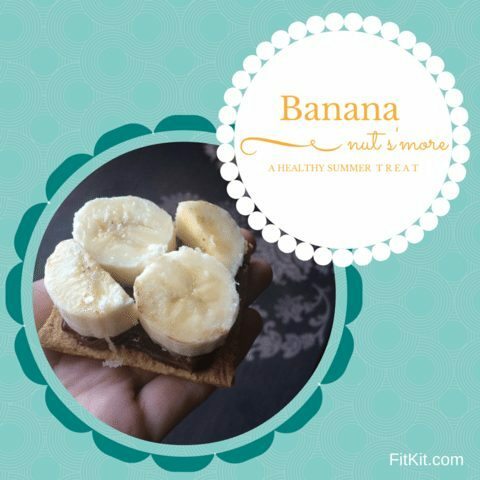 Spread a thin layer of hazelnut butter onto one graham cracker, top with banana and eat open face style! Campfire is optional.